The topic for the month is LoFi and I’m just having my morning coffee. Before taking this further, it would probably be worthwhile to define LoFi. HiFi is high fidelity and LoFi is low fidelity. A quick google search for the definition of fidelity, and I came up with “the degree of exactness with which something is copied or reproduced”, while dictionary.com had a multitude of definitions including “accuracy, exactness”, “adherence to fact or detail”, and “audio, video – the degree of accuracy with which sound or images are recorded or reproduced”. I think that these definition will serve this conversation well, so we can look at high fidelity as something being very accurate or very accurately recorded, while low fidelity is something that is not all that accurate or accurately recorded. A quick side note, for a little while I did some work, doing sound in a club, for a company called The HiFi Alliance. The first thought that I had when I saw this topic was of the above video from the Soundworks Collection, of Wreck It Ralph, where David Fluhr talks about using plugins that bring the sound quality down to 8 bit sound. Henry Jackman talks about going back to ideas from his early video game sound days of composing, to help make it sound more 8 bit. Gary Rizzo talks about using foley to create the footsteps for the characters and adding in a Gary Rydstrom designed “ping” to remind the audience that “they are code”. The next thing that came to mind was this interview with Kurt Cobain at 7:40, Kurt talks about someone sending a radio station “5th generation copies” (on cassette tape) of his [then] new album before it was released. He was more concerned with the controversy of how LoFi it sounded. He didn’t want everyone to think that the album actually sounded like that. Compared to all the other songs that were on the radio that night, it sounded really bad. The Hi-Fi Soundscape. 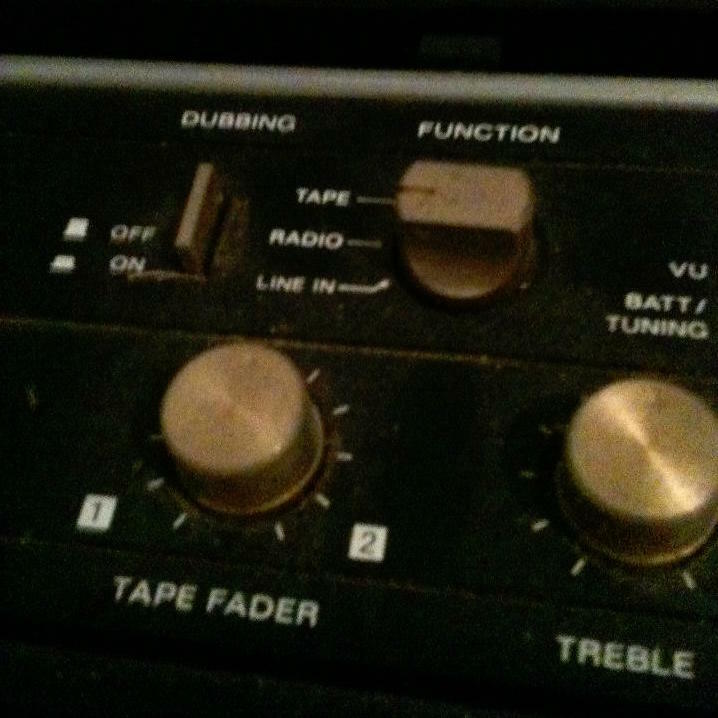 In discussing the transition from the rural to the urban soundscape, I will be using two terms: hi-fi and lo-fi. They need to be explained. A hi-fi system is one possessing a favorable signal-to-noise ration. The hi-fi soundscape is one in which discrete sounds can be heard clearly because of the low ambient noise level. The country is generally more hi-fi than the city; night more than day; ancient times more than modern. In the hi-fi soundscape, sounds overlap less frequently; there is perspective – foreground and background: “…the sound of a pail on the lip of a well, and the crack of a whip in the distance” – the image is Alain-Fournier’s to describe the economic acoustics of the French country-side. The quiet ambiance of the hi-fi soundscape allows the listener to hear farther into the distance just as the countryside exercises long-range viewing. The city abbreviates this facility for distant hearing (and seeing) marking one of the more important changes in the history of perception. In a lo-fi soundscape individual acoustic signals are obscured in an overdense population of sounds. The pellucid sound – a footstep in the snow, a church bell across the valley or an animal scurrying in the brush is masked by broad-band noise. Perspective is lost. On a downtown street corner of the modern city there is no distance; there is only presence. There is cross-talk on all the channels, and in order for the most ordinary sounds to be heard they have to be increasingly amplified. The transition from the hi-fi to the lo-fi soundscape has taken place gradually over many centuries… (Schafer, 43). The Lo-Fi Soundscape of the Industrial Revolution. The lo-fi soundscape was introduced by the Industrial Revolution and was extended by the Electric Revolution which followed it. The lo-fi soundscape originates with sound congestion. The Industrial Revolution introduced a multitude of new sounds with unhappy consequences for man of the natural and human sounds which they tended to obscure; and this development was extended into a second phase when the Electric Revolution added new effects of its own and introduced devices for packaging sounds and transmitting them schizophonically across times and space to live amplified or multiplied existences. Today the world suffers from an overpopulation of sounds; there is so much acoustic information that little of it can emerge with clarity. In the ultimate lo-fi soundscape the signal-to-noise ratio is one-to-one and it is no longer possible to know what, if anything, is to be listened to (Schafer, 71). At this point, he talks at length about how the soundscape changed drastically, especially for city dwellers, during the Industrial Revolution. Finally, in his chapter on The Electric Revolution, he gets to something that I want to spend a little time discussing. The Electric Revolution extended many of the themes of the Industrial Revolution and added some new effects of its own. Owing to the increased transmission speed of electricity, the flat-line effect was extended to give the pitched tone, thus harmonizing the world on center frequencies of 25 and 40, then 50 and 60 cycles per second. Other extensions of trends already noted were the multiplication of sound producers and their imperialistic outsweep by means of amplification (Schafer, 88). 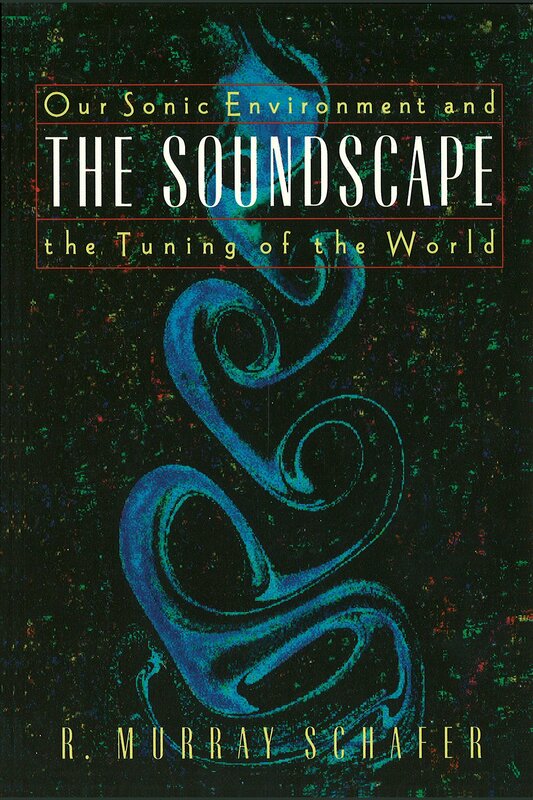 The power frequencies mentioned above have played a key role in the modern soundscape. In a sense, the world has been “tuned” to them and here’s why. If you think about time code and frame rates, and where all those standards came from, it has a lot to do with the paragraph above. I know what some of you are thinking, “but 29.97 is kind of a weird number to choose, what does that have to do with the numbers above?” I’m glad you asked, back in the days of black and white television, they needed a common clock that was available in every home that they could use to sync the television’s sound and picture. Since wall power operated at 60 cycles per second and was in every home, they could take that and divide it in two and you get 30 frames per second, which is where black and white television decided to operate. In the UK, power was at 50 cycles per second so they divided that in half and got 25 frames per second. I’m sure that at this point some of you are thinking “but what about 29.97?” I’m getting there. When color television came out some time later, they discovered a noise in the television sound (in the USA). For whatever reason, the electronics in the color televisions in the USA produced a noise when they were powered by 60 cycles per second wall power (apparently it also distorted the picture and you can learn about it in the video below), so they decided to have the color televisions operate at 29.97 frames per second, which was 30 frames pulled down just enough to get rid of the noise. In the UK, they had no noise in their color televisions, so they stayed at 25 frames per second. And now you know where little time code babies come from. 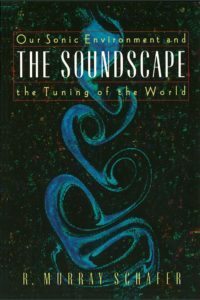 One of the things that Schafer talked about in his book was how the soundscape changed over time and in different time periods, they had certain “signature sounds”. In some cities, at a certain period of time, they had night watchmen all around the city and they would call out something to the effect of “all clear”, sometimes as often as every 15 minutes. If one night watchman didn’t call out, they knew that something was wrong, maybe a horde of bandits was ransacking the town. Schafer called these signature sounds a “soundmark” (like a landmark). We are currently going through this kind of evolution in the soundscape. For example, old large and box like television sets would produce a high pitch whine or squeal at around 15-16 KHz. It sounds like the video below at 3:22. Many of us would be able to tell if the television was on in another room or even upstairs or downstairs by the sound of this high pitch whine. However, the newer flat screen televisions are much quieter. As a sound designer or sound effects editor, if you’re doing a period piece that takes place in say the 1990’s, placing that high pitch whine under the sound of a television (if the television’s on screen) might help to establish a point in time. If you do this, know that the director may hear it and want to ditch it. That’s fine, at least it’s there if he wants it. If I cut something like that in, I might just mute it and leave a note for the mixer that it’s there if he wants it. Something interesting about this sound is that before it was replaced by flat screen televisions, it was almost always removed, but now that it’s gone, it’s something that might be added to establish a period of time. If you want to know why there’s a whine at 15-16 KHz, the video below explains it. Another example of the changing soundscape is telephone ring tones as opposed to the more simple rings of landline telephones. In the television whine example above, I described a situation where I might add a noise to a sound to make it more LoFi to help tell a story. In reality, we make things more LoFi all the time. 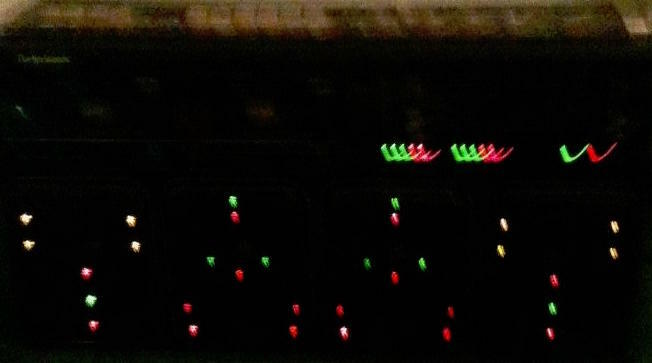 We futz things, where we intentionally screw up the EQ to make it sound like it’s coming from a television, telephone, etc. There’s popular plugins to help you do this such as Speakerphone or FutzBox. Another example would be when we worldize something. 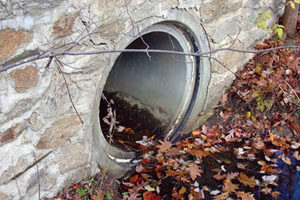 That’s when I want something to sound like it’s coming from a giant storm drain pipe, so I take a recording of it and set up some speakers in a giant storm drain pipe, play it back and record that sound. Or maybe you want to record someone’s voice coming through various electronics such as walkie talkies, a megaphone, a telephone, etc. There’s lots of reasons that you might want to make something sound LoFi, and lots of ways to get there, so get out there and explore. Whether you’re dubbing a tape across 5 generations or playing something back through some cheap electronics, I’m sure you’ll find some cool LoFi sounds.